The Clan Campbell is the largest Scottish family in the world with an estimated of 12 million people. Traditionally, members of the Clan are those with Campbell ancestry or anyone with names who were placed under the protection of the Campbells and who consequently accepted by their chief. The Campbell chief is His Grace, Torquhil Campbell, the 13th Duke of Argyll. 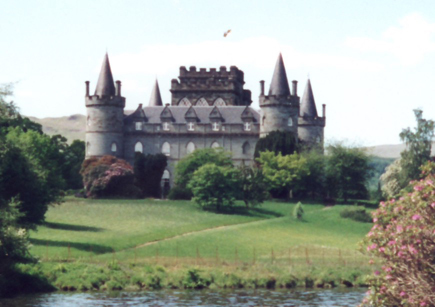 The Duke and his wife Eleanor Cadbury, have an apartment in London but spend more time with their young family at the family home Inveraray Castle in Scotland. Inveraray has been the hereditary home of the Campbell chiefs since the 15th century. 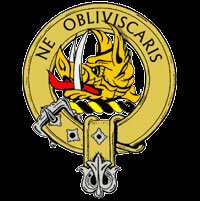 For further information on the history of the Clan Campbell, visit the following website. For information on Campbell related castles, follow the link below. To see photos of some more Campbell related castles, follow the link below.